ITANAGAR, Dec 27: A sizeable number of people under the banner of the United Arunachal Indigenous Peoples’ Forum (UAIPF) organised a rally at the IG Park tennis court here on Thursday to protest against Chief Minister Pema Khandu and Deputy CM Chowna Mein’s announcement regarding issuing permanent resident certificates (PRC) to non-APST communities living in Lekang (Namsai district) and Vijaynagar (Changlang). The CM and his deputy have been facing flak from every quarter after their announcement earlier this month to issue PRCs to non-APSTs as a “new year gift.” Although the state government later clarified that issuing PRCs would not entitle the non-APSTs to land rights, the clamour over their announcement refuses to abate. 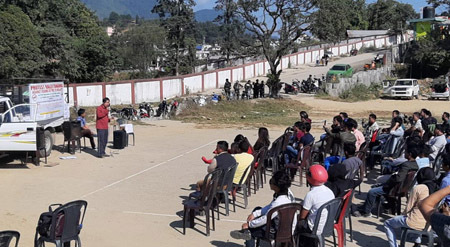 “Our demand is that Chief Minister Pema Khandu and Deputy Chief Minister Chowna Mein should recall the promise they made to non-APSTs living in Lekang and other places,” said UAIPF organi-sing chairman Laffe Paffa. Questioning the joint high power committee (JHPC) constituted by the state government to study the legalities involved in issuing, or not issuing, PRCs to non-APSTs, Paffa said the JHPC should work in the greater interests of the indigenous people and present a transparent report. Paffa urged the state’s legislators also to work in the interests of the indigenous people and protect their rights. “If the government starts issuing PRCs to non-APSTs then any non-APST living in any part of Arunachal would deserve to have PRC,” he added. He said the CM and the DCM would be held responsible in the event of any untoward incident occurring in the course of the agitation against the government’s PRC decision. “If any law and order related issue crops up owing to the PRC issue, the chief minister and the deputy chief minister should take responsibility,” Paffa said. “We are still demanding our birth right (PRC), which is to be achieved by the first part of January,” Deori said. He argued that the government of Arunachal Pradesh itself demarcated and registered the land plot/dag number of every land holder in Lekang in the chitha register during the first ever cadastral land survey done in 1968 in Lekang circle. 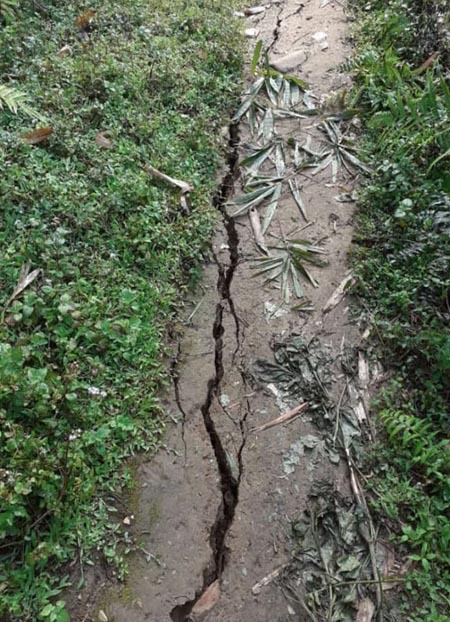 “This is the right of the indigenous people of Lekang circle on their land for which the state government of Arunachal Pradesh has to issue land possession certificate (LPC) to every land holder,” Deori said. “The chitha register of land survey cannot be made by any individual or NGO. It is the government authority only that can do it. So the government cannot deny us our legitimate right on the land. If not, there will be a crisis of law,” he said.